A pull through crown that’s fit for a Queen a.k.a YOU! Use your bobby pins to cross over one another, creating a circular crown. Achieve stunning waves with hot rollers. Image credit: Imaxtree. Tie a bow in it! A simple braid is a cute way to enhance your updo. These effortless curls take just minutes to create. The flower crown trend just keeps getting better and better. Your hair will be the life of the party! Who doesn’t love a good party? Parties are the best time to test out a new hairstyle while you’re having the time of your life with your friends or loved ones. The bolder you go, the more festive you are! Party hairstyles are some of our favorites here at All Things Hair because you can have as much fun with it as you want. Having a casual shindig? Try a half up style. Going out for a night on the town? Try a funky new updo. Read on to see our favorite party hairstyles you can try out for any celebration. 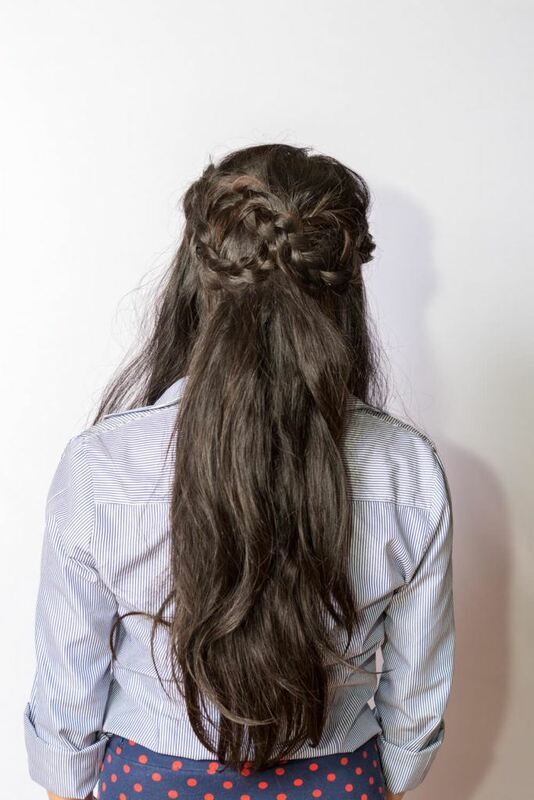 This braid is perfect for parties! While this party hair looks much harder than it actually is, and you may need the help of two mirrors or a friend to get it totally perfect. First, section off the top half of your hair like you would for a half-up style. Then, split the top section down the center and create two simple three-strand braids. Wrap the braids around to create an infinity shape using lots of bobby pins to keep everything secure. 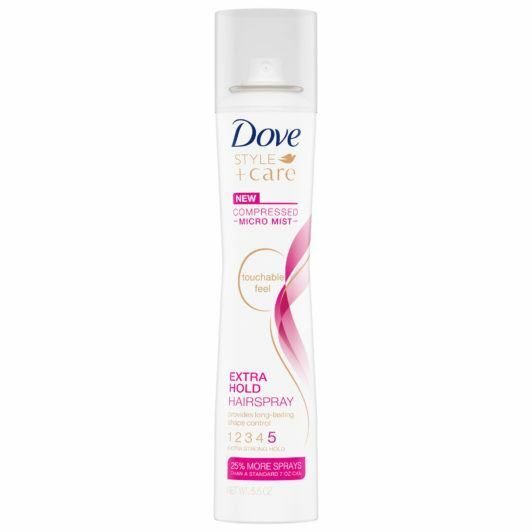 To totally lock in your style, spritz a good amount of the Dove Style + Care Extra Hold Hairspray. 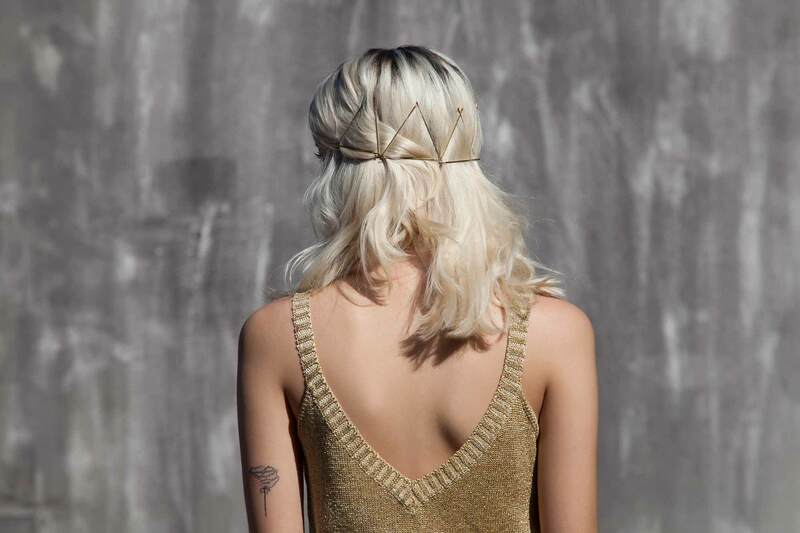 A crown braid shows that you really are the party queen. This beautiful pull through style is a little different than the traditional three strand braid. 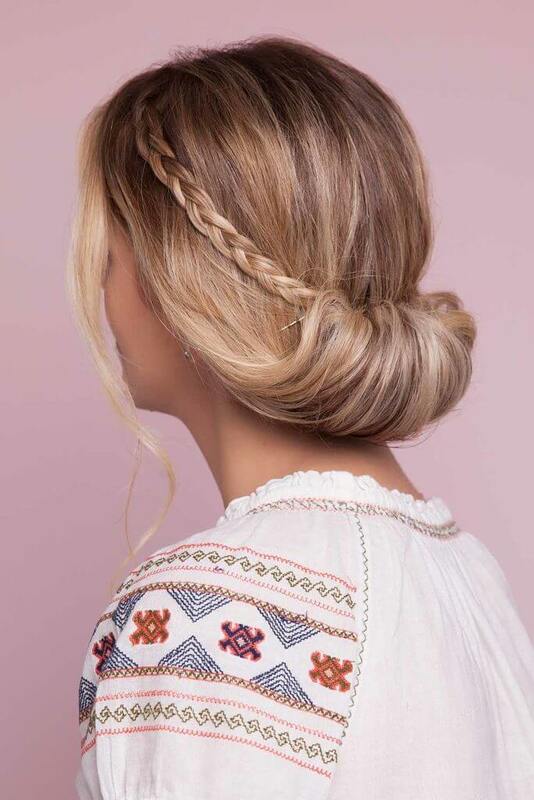 Follow our pull through crown tutorial for a complete step-by-step of how to get this chic new braid. Be sure to leave pull out small sections to get a wispy, romantic look. Voila! Perfect party hair. If your hair is on the shorter side or you’re all thumbs when it comes to making a crown braid try this bobby pin crown instead.It’s a really chic hair style for party or parties. Use bobby pins in a contrasting color to your hair for maximum impact. All you need to do to replicate this style is brush your hair back, and use bobby pins to create a crown. Make your hair wavy or curly for an extra bit of glam. Turn heads on your b-day with this double braided chignon. This classy updo is another perfect party hairstyles for long hair for an upscale birthday bash. 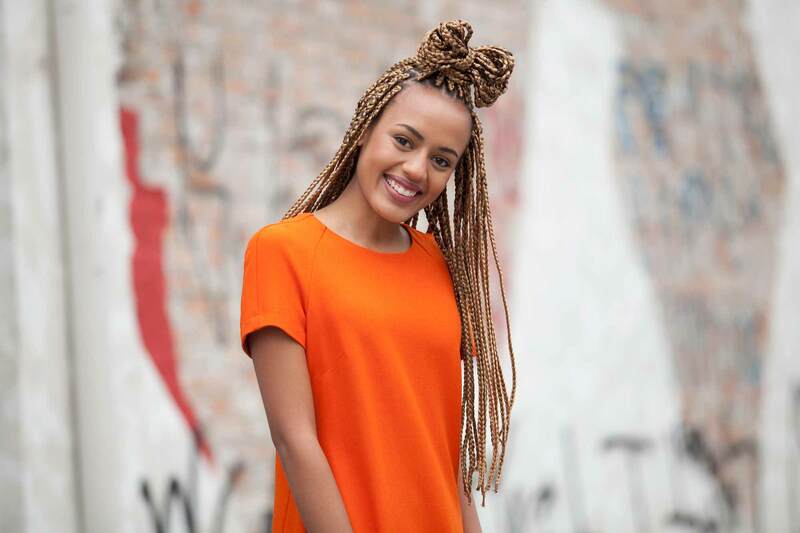 It’s best suited for medium to longer length hair, the longer the better for a big braided bun. 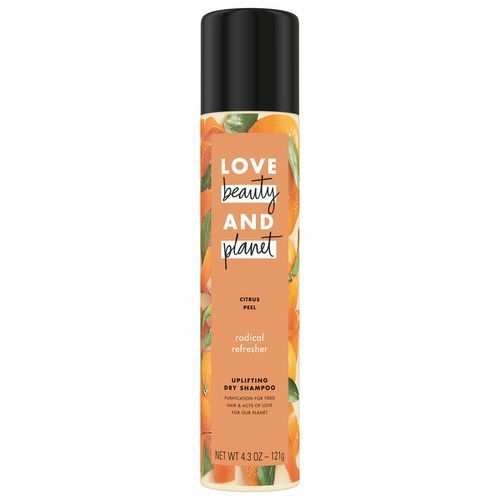 Before getting to braiding use Love Beauty and Planet Radical Refresher Citrus Peel Uplifting Dry Shampoo to give your hair the texture it needs to hold in this elaborate braided style. 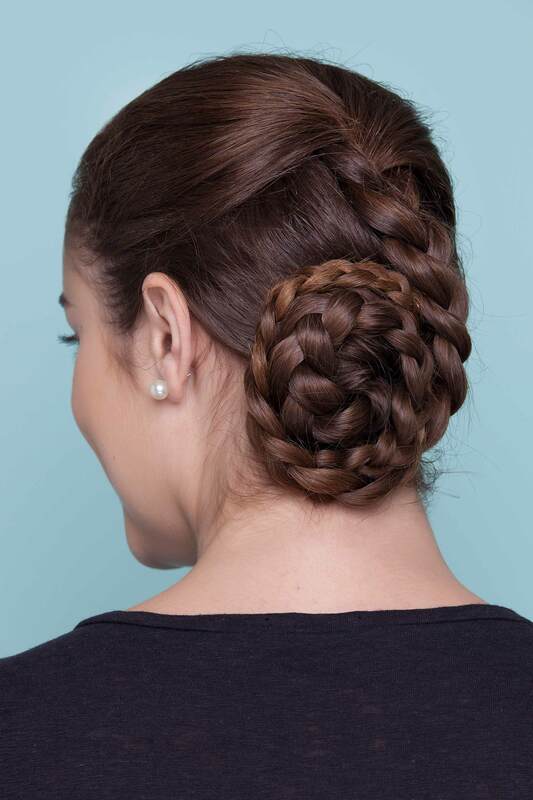 Then, follow our chignon tutorial to learn more about how you can get this double braided style. Channel your inner disco diva with this intensely curly throwback look. Using hot rollers will give you the most volume, but a curling iron can give you the same effect with some strategic teasing. 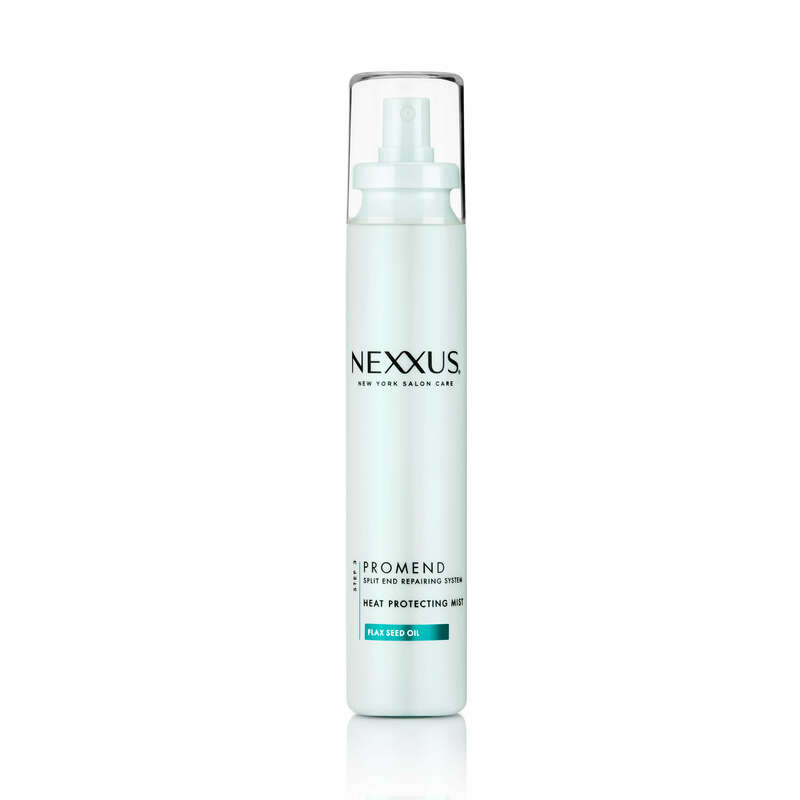 With both methods it’s important to start out with a heat protectant, like the Nexxus New York Salon Care Promend Heat Protecting Mist. After you have curled your hair, tease near the roots all around, and very lightly through the mid-lengths of your hair to get this amount of volume. There is nothing quite as fun as a big bow bun. 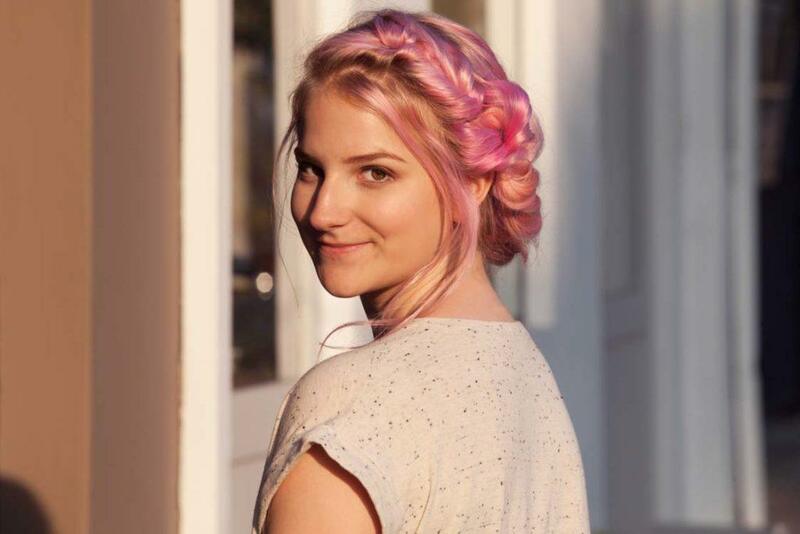 This hairstyle is so cute you’ll probably want to wear it all the time. To recreate this style, follow our bow bun tutorial that we are sure you’ll be trying way past your special day. This quickie style is a classic. 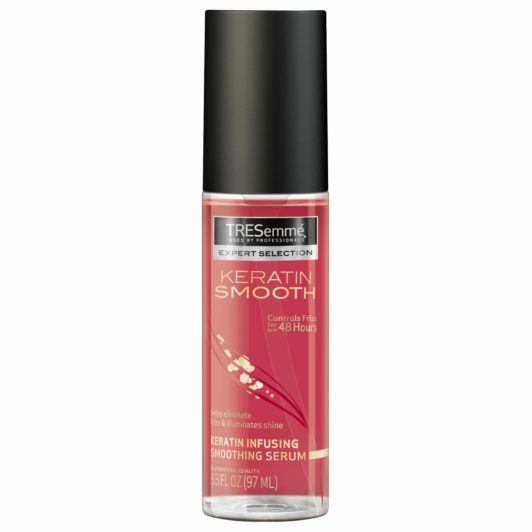 To get a sleek look, apply some of the TRESemmé Keratin Infusing Smoothing Serum and blow-dry your hair straight. Make two small braids near your part and secure an inch above the nape of your neck. Then, take the rest of your hair and roll it upwards. Pin in place to cover the ends of the braids and you are ready for your birthday party. 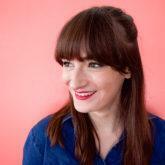 Need to create an amazing curly style in just a short amount of time? Effortless bombshell curls works for any party. Use a curling iron to create the style and be sure to lock in with a strong hold hairspray. You want your curls to last right? 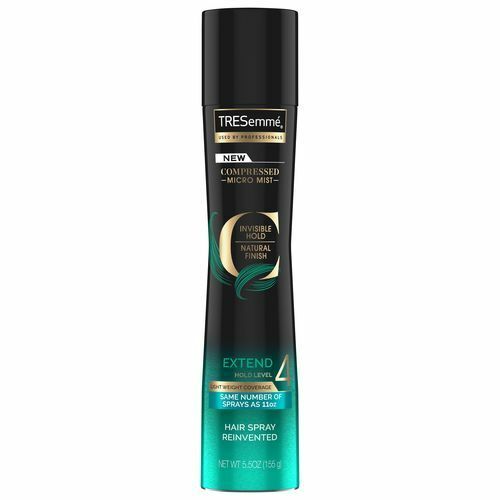 We like using TRESemmé Compressed Micro Mist Hairspray Extend Hold Level 4 for extended wear. Thinking of being the life of a really elegant party? 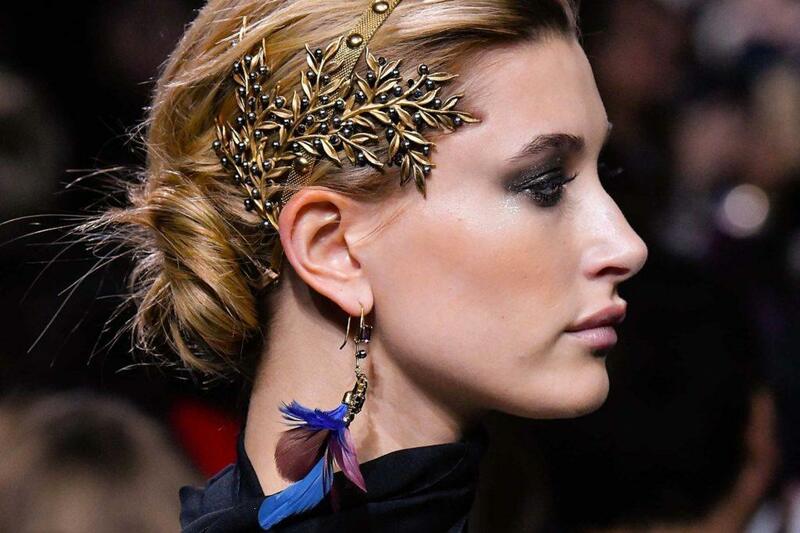 Elevate your chignon with ornate accessories. This headpiece creates a very regal and luxurious finish to your style. Throw in a smoky eyeshadow look to complete the look. Have a fun day party to attend? Or even a festival? 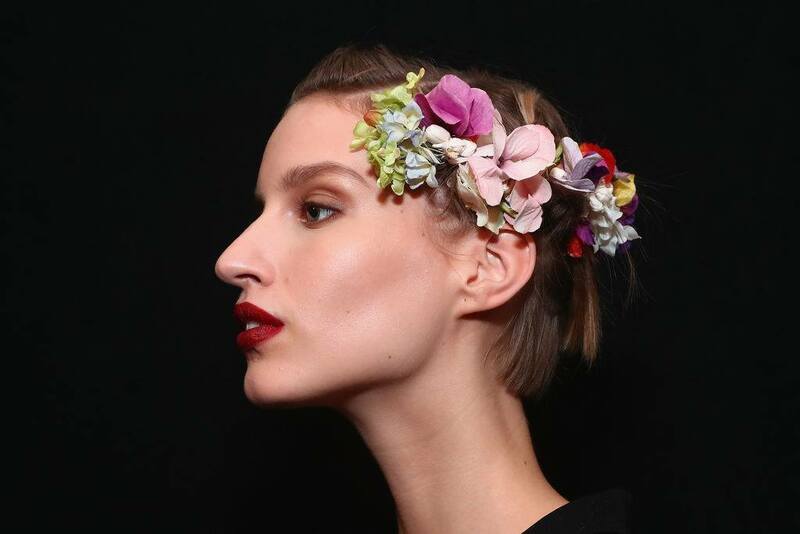 You can’t go wrong with a chic hairstyle with a flower crown. Steal this runway look and have fun! Need quick hairstyles? Try these.